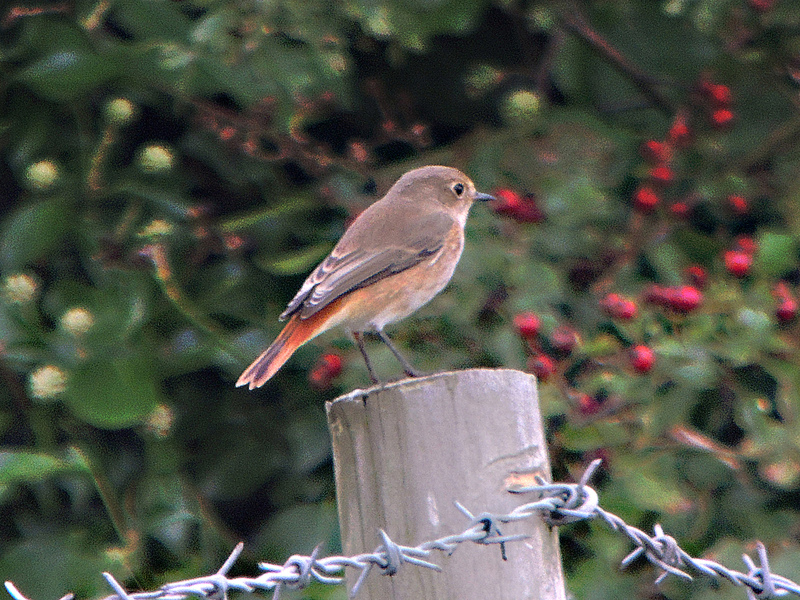 Autumn 2015 is so far proving to be a great period for Common Redstarts moving through Northants. 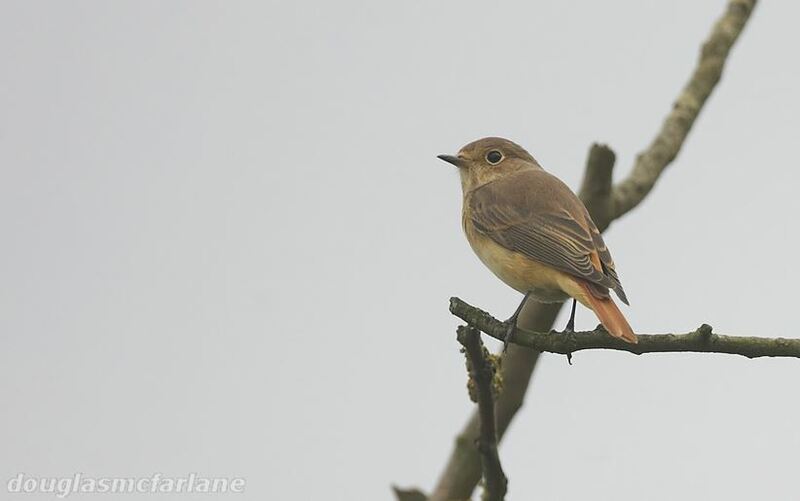 The first migrant appeared on 1st August, followed by another the next day and then, from 14th August, they have been seen almost daily with records from 13 sites. Most reports involve 1-3 birds but an exceptional 10 were present in scrub between Pitsford Res and Walgrave yesterday. Some of these are ‘brown’ autumn birds, which are a challenge to age in the field so, prompted by some recent online discussion regarding the ageing of an autumn female, I pulled together some images of local birds to look at in more detail. All adults undergo a full post-breeding moult, while first-winters undergo a post juvenile moult which is restricted to head, body, lesser, median and some/all tertial coverts and one or two inner greater covets. 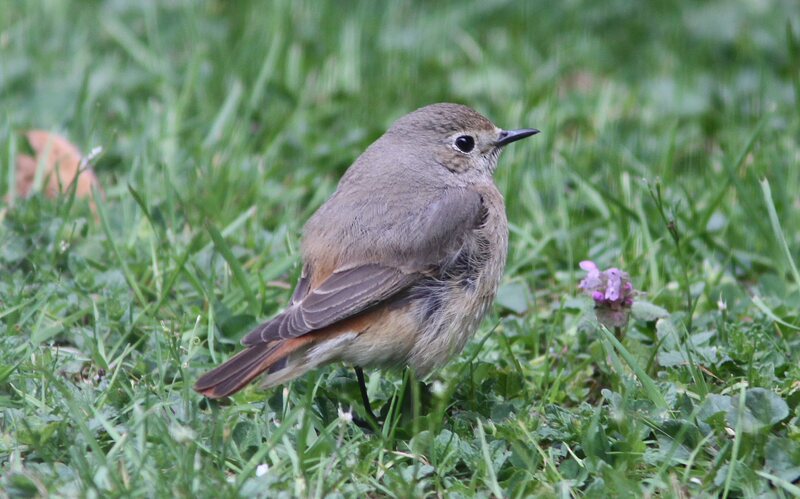 The upshot of all this is that all Common Redstarts seen in early autumn will have relatively fresh plumage with lots of bright fringes to the wing feathers. Svensson (Identification Guide to European Passerines) states that, even in the hand, ageing according to plumage characteristics is very difficult with, on some first years, contrast between one or two fresh inner greater coverts and the slightly worn remaining greater coverts plus more pointed tail feathers on first-winters being the most reliable ageing characteristics. However, both BWP and Van Duivendijk (Advanced Bird ID Handbook, The Western Palearctic) state that, as well as tail feather tip shape, the middle (BWP) or inner (Van Divendijk) primaries will have distinct pale tips as opposed to very uniform, narrow pale fringes on adults. The presence of rusty/grey tips to the greater coverts is shown by both adults and first-winters, so is not a valid ageing characteristic. 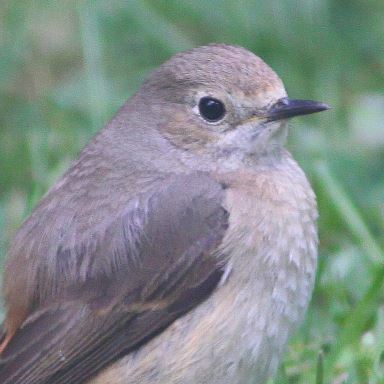 BWP goes on to suggest that the tertials of first-winters are more pointed and have broad, buffy fringes while those of adults are squarer with little or no buffy fringes. 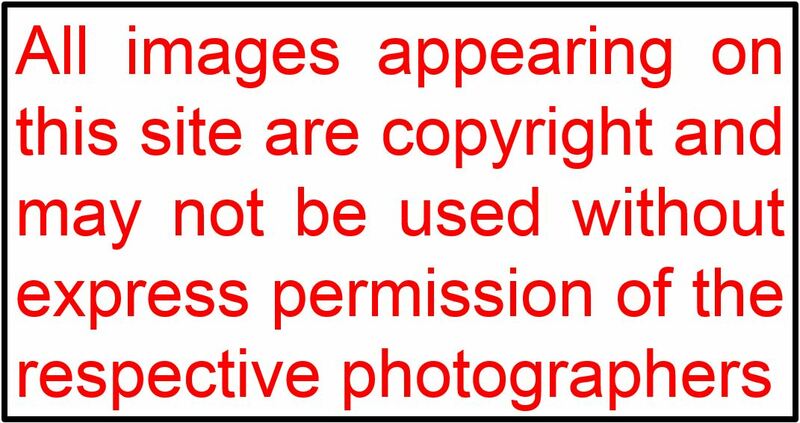 Here is the image which sparked the discussion. 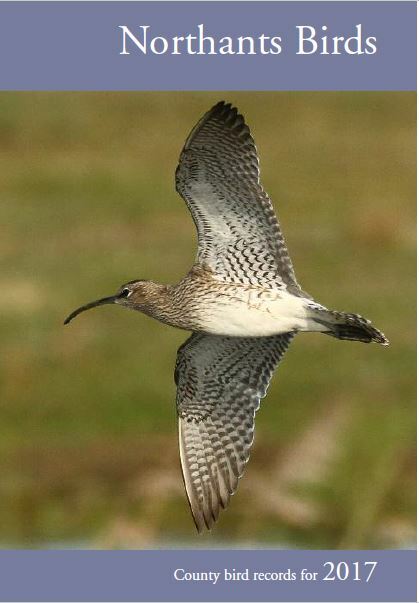 Based upon the above criteria (complete narrow fringes to primaries, medium narrow fringes to tertials and nearest outer tail feather appearaing rounded) this an adult. Compare this below with a typical spring female with worn plumage. 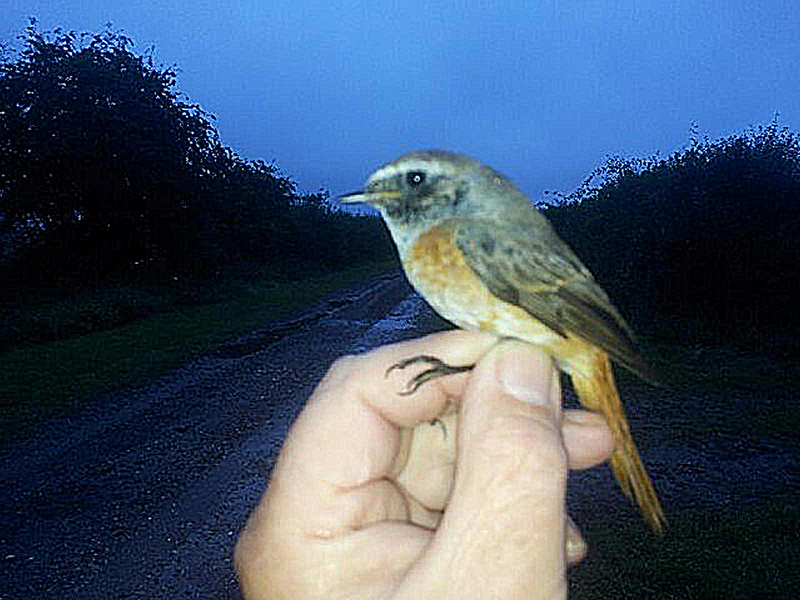 Here’s what I would call an obvious first-winter, showing all the classic features associated with a first year bird. Broad buffy fringes to tertials, broad pale tips to middle/inner primaries and apparently pointed tail feathers. The underparts also look a little scaly. Below is what appears to be another first-winter, although not so well defined as the individual above. 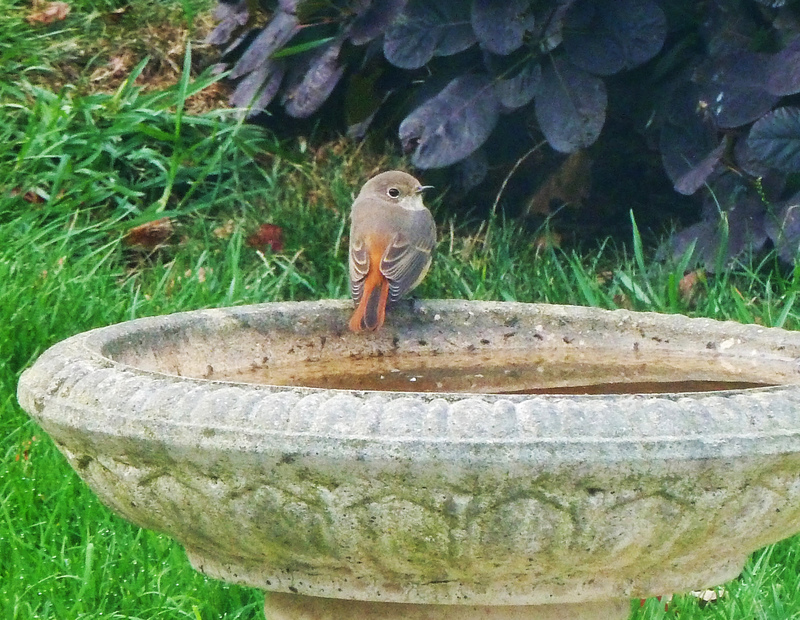 Middle tail feathers look rounded, though outers look pointed. 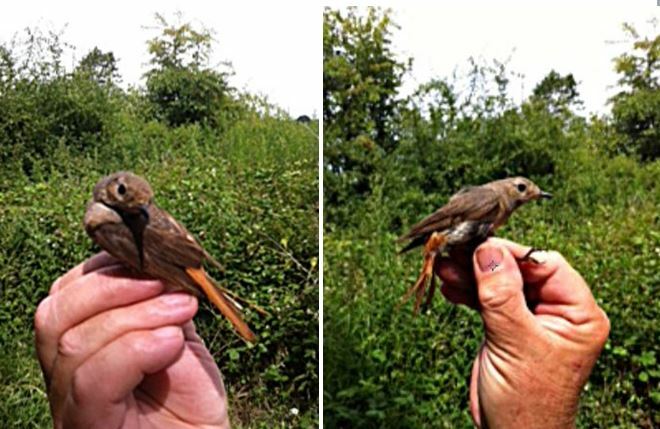 Here’s an undisputed adult female, trapped in summer and found to have an active brood patch – so a likely local breeder. Well worn and no sign of any fringes. For completeness, below is a first-winter male, already wearing and surprisingly little fringeing.